China’s immense manufacturing and production output has lead to some very serious pollution and environmental issues. Today, however, they are working hard to change that. China now invests more in wind, hydro, and solar power technology than other country in the world. In fact, they can be seen as a leader in the renewable energy market. Recently they have also reduced their fossil fuel consumption by stopping more than 100 coal fired power plants. These plants were responsible for producing 100 gigawatts of power for the country each year. With this reduction in coal power, new energy sources will have to be implemented. This is part of the reason that in 2017 China spent roughly $1.9 billion dollars in renewable energy research. This beat out Europe at $1.5 billion and the US at $1 billion. They furthered their leadership in the industry earlier this month when they turned on the world’s largest floating solar power plant ever made. 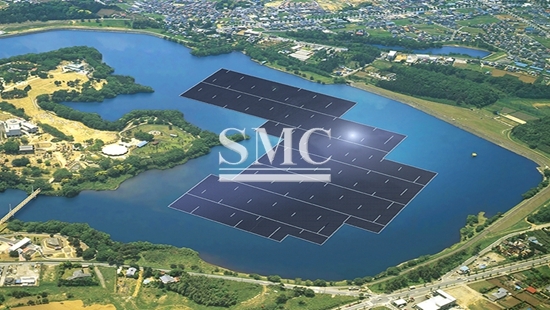 Floating solar power systems have been used globally over the past decade. They have numerous advantages compared to the land implemented systems. They don’t take up any valuable land space. The water can also be used as natural coolant helping the panels to run more efficiently. They can also help to mitigate the evaporation of water for drinking or irrigation by intercepting sunlight before it hits a reservoir’s surface. The world’s largest floating solar power plant is located in the city of Hainan in China’s eastern Anhui province. The plant is seen as a symbol of change, being placed in a region best known for its coal production. The power system has the capability of producing forty megawatts of power. This is enough energy to power a small town. China is not the only country implementing floating power systems. Other countries such as the UK have already implemented them. China’s new solar panel system is capable of producing nearly seven times the amount of energy capacity of the previous largest floating solar system located in the UK. Next year Japan plans to unveil their own floating power system that has the capacity to produce 13.7 mega watts of power, only one third of the power that China’s new system can produce. This new floating power system is advancement in China’s desire to dominate the renewable energy market.